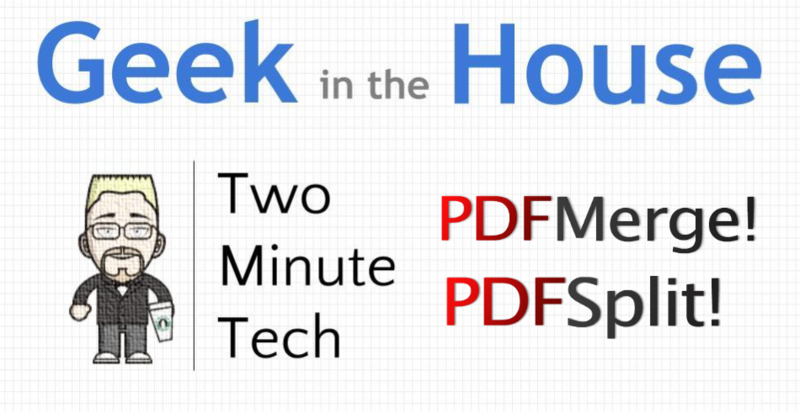 No matter how interactive and tech-rich our classrooms get, it doesn't look like the formidable PDF is going anywhere soon. Whether it's lesson plans, online curriculum, OERs or other resources, being able to merge and split PDFs is becoming an every day necessity. 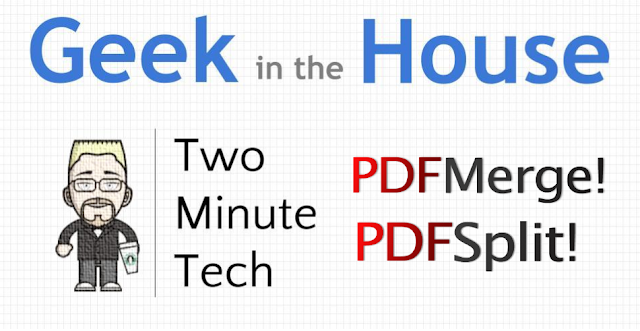 These Two Minute Tech videos focus on two free-and-easy ways to do just that. With PDFMerge, upload the individual PDFs that you'd like to combine and PDFMerge will smash them together into one, easy to manage file. When you have a massive document but you only need a few pages, use PDFSplit. With a couple of easily customizable options, you can extract each page into it's own file, or pull out only the page ranges that you need. The PDF is going to be around for a while, so when you have to work with them, it helps to have the right tools for the job. - PDFMergy is a Google Docs add-on that lets you select any number of PDF files in your drive (or computer) and merge them into one. - Standard on a Mac is the 'Preview' tool - for opening PDFs. For giant PDFs, I often select the pages I want (choose them from the sidebar or select a print range), then do Command+P to do a print. In the lower left of the dialog is a "PDF" button. Instead of printing my pages, I just save them into a new PDF. You can do this from the Chrome print dialog as well by selecting "Save as PDF". Thanks for all the tech tips!